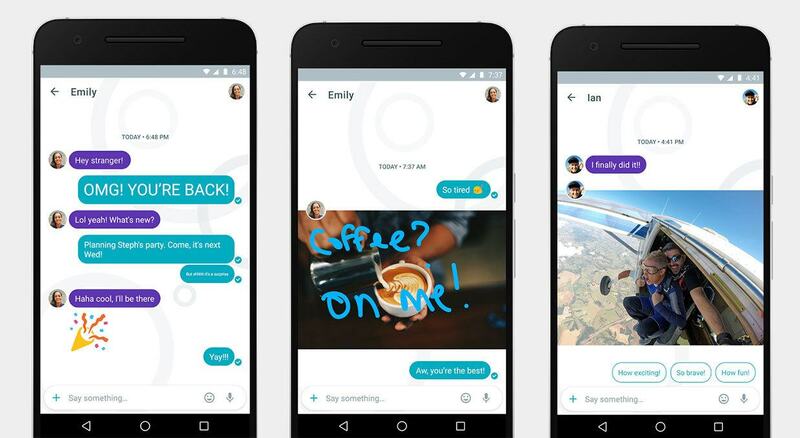 Google Allo, the smart messaging app that the company announced during its 2016 I/O conference, has now been released on iOS and Android. “The app will be live worldwide in the next few days,” says Google, so there’s no need to fret if you can’t yet find it on the App Store or Google Play. For those are able to download Allo, though, Google says that the app “helps you say more and do more.” This includes the Smart Reply feature which learns your conversation style and suggests text and emoji replies based on your messaging personality. Allo also includes the “preview edition” of Google Assistant which allows users to put event info (e.g directions and suggestions of restaurants) and videos, sourced from Google, right into the conversation without having to leave the app. One on one conversations with Google Assistant are also available, as, using information from a synced Google account, it can tell you your flight times for example. A Google account isn’t required to use Allo, but using it without one means that you miss out on this kind of personalized information. Other features include the ability to make text much bigger or smaller (to indicate shouting without caps lock, or that you’re whispering), an incognito mode that lets you send expiring messages and the ability to send stickers as well. One major downside to Allo, however, is that Smart Reply and Google Assistant are currently only available in English. But Google assures that there “more languages coming soon,” so hopefully there won’t be too long to wait until Allo goes multi-lingual.